NEW YORK (WABC) -- New York is gearing up for the presidential primary election on Tuesday, April 19. We put together everything you need to know to vote that day. The times New Yorkers can vote in a primary election are actually different based on where they live. In a group of counties including all of New York City, polling hours are 6 a.m. to 9 p.m. Here are the counties: Nassau, Suffolk, Westchester, Rockland, Orange, Putnam and Erie. Elsewhere in the state, polls are open from 12 p.m. to 9 p.m. The New York State Board of Elections offers a free tool where you can find out where to vote. Click here to look up your voter information. From there, you should see a link near the top to find your polling place (it's different, based on where you live). If you live in New York City, click here to access the city's tool. But you may first want to check your voter registration to make sure it's up to date. You can do that here. It also shows you for which party you're registered. CAN I CHOOSE MY PARTY ON ELECTION DAY? No. New York has a closed primary system in which only voters registered with a particular party are permitted to vote for that party's races. This means Independents can't vote for Republican or Democratic candidates. If you want to change your registered political affiliation before the primary, you're out of luck. New York State requires voters to be received by the board of election at least 25 days before the general election -- and it doesn't take effect until after the election. A voter registration form needs to be sent in to do this. If you have questions about your voter registration or anything else election related. You're going to want to contact your county's board of elections office. You can find a map that links off to each BOE's contact information here. WHAT DO I DO IF I HAVE ISSUES VOTING? The NY BOE has a full list of questions and answers on its website. Check out the list here. Eyewitness News has been covering all of the candidates as they've made their way through the region. Check out all of our New York coverage here. 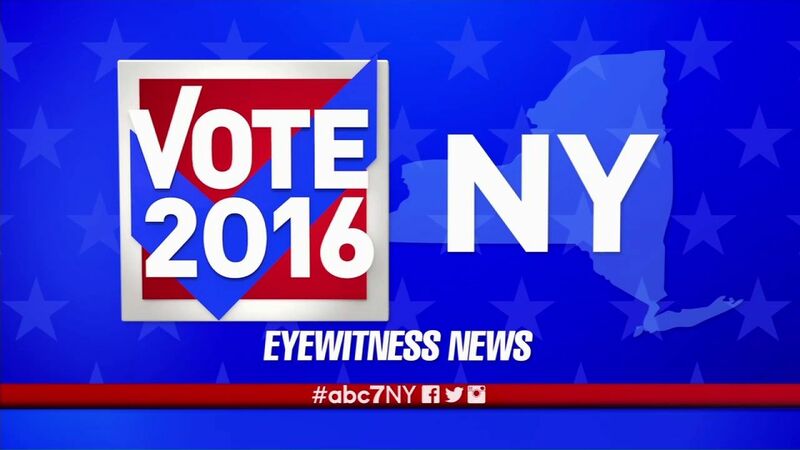 Stay with Eyewitness News for the latest on Vote 2016, with complete coverage of all of the candidates.